Ziraba is an Epidemiologist. 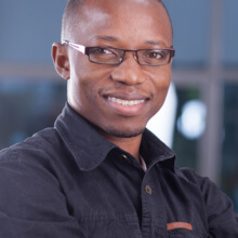 His research interests include reproductive, maternal, newborn and child health, HIV/AIDS, health systems research, health and demographic surveillance, estimation of mortality in environments with poor or no vital registration and exploring quantitative research methodologies. Ziraba is currently leading the WHO-funded Accountability for Health Framework project that supports several Ministries of Health in the region to improve collection and use of existing data. Prior to enrolling for his PhD, Ziraba worked with the African Population and Health Research Center as a Research Officer between 2003 and 2008 managing projects including the HIV sero-survey; maternal health survey, cervical cancer screening using VIA in six countries, and Verbal Autopsy for ascertaining cause-of-death. Previously, he worked as a Clinician for about 3 years in Uganda. He holds a PhD in Epidemiology and Population Health from the London School of Hygiene and Tropical Medicine, University of London. He also holds a Masters degree in Epidemiology and a Bachelor of Medicine and Bachelor of Surgery degree from Makerere University, Uganda. Ziraba has published several peer-reviewed articles, a book chapter and several major project reports. His other areas of interest include project planning, management, monitoring and evaluation. His work is driven by the understanding that over 75% of the health challenges we face are preventable. A “little bit of research” can go a long way in achieving this as residents of London in the 1850s found out through Dr. John Snow’s work on Cholera.